Which of the following is the IUPAC name for the compound? contains at least one double or triple bond. Which of the following names are correct? What is the name of the compound shown below? Which of the following compounds has the smallest number of hydrogen atoms? What is the IUPAC name for the following compound? 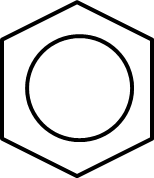 ring of six carbon atoms with a circle in the center. that contains both atoms of the double bond. What is the molecular formula of benzene? that has the greater number of hydrogen atoms attached. How many isomers are there for C?H?Cl?? the carbon atoms in the double bond cannot rotate. they have fewer hydrogen atoms attached to the carbon chain than alkanes. How many isomers are there for dibromobenzene? What is the condensed structural formula of the compound propene? What is the name of the compound below? Which of the following compounds is an alkyne? Which of the following is a naturally occurring polymer (not a synthetic polymer)?